Dreaming in Depth is an opportunity for people to come together to share and explore their dreams in a small group setting. As we leave summer behind and move into the darker part of the year, we may begin to dream more vividly, notice our dreams more, or we may have a recurrent dream that we want to learn more about. This group is an opportunity for you to share and explore your dreams with others. Even if you don't dream but are interested in dreams, you are welcome to join us. The group will be small - from 4-8 members - and anyone is welcome to come along. The group will run from The Salisbury Centre in Edinburgh starting on Tuesday 24th September from 10am - 11.30am for ten weeks (excluding 15th October). Cost per session £15. 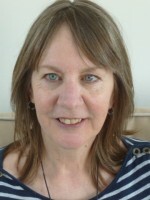 Dreaming in Depth will be facilitated by Pauline Ross UKCP registered counsellor/psychotherapist who has many years experience of working both with groups and with dreams.